Walter Glenn is the Editorial Director at How-To Geek. He's responsible for coordinating editorial activities, scheduling publication, and generally making sure articles go out in good shape. Walter has worked in the computer industry for over 30 years as a computer technician, network administrator, trainer, and freelance consultant. For the last 20 or so years, he's also worked as a technical writer and editor. Before coming to How-To Geek, Walter worked as a writer and community editor at Lifehacker. Before that, he worked as a freelance writer and editor. As an expert on topics like Windows, Word, Outlook, Exchange Server, Windows Server, and general networking, he's authored or co-authored over 30 computer-related books in more than a dozen languages for publishers like Microsoft Press, O'Reilly, and Pearson. He's also written hundreds of white papers, articles, user manuals, and courseware over the years---mostly for Microsoft. 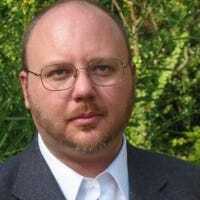 Walter holds a Bachelor's degree in English and computer science from the University of Alabama in Huntsville and at one point held just about every Microsoft certification offered, including MCSE, MCDST, MCIS, and MCT. With the Action Center, Windows 10 finally provides a central place for notifications and quick actions to live. Here’s how to use and customize it.